Connectors - BNC-07 - Only $1.35! 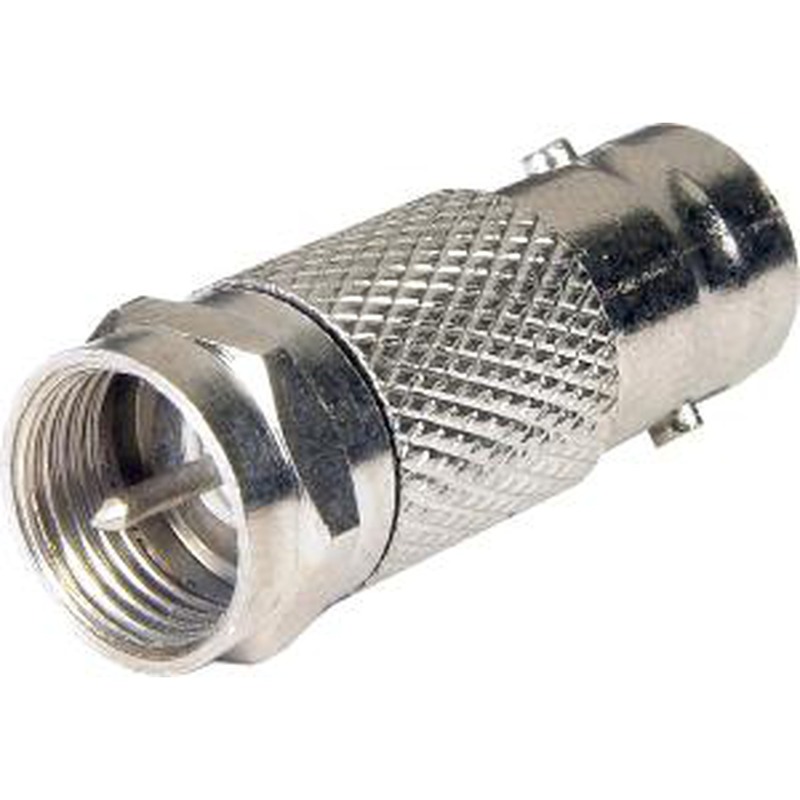 BNC Female to F-Type Male Connector Adapter. Could be used to connect CATV when the RG59 or RG6 cable has BNCs on it. This doesn't change or adapt impedance. The cable must have 75 ohm impedance if this is being used on CCTV (won't work if the BNC cable is a Thinnet™ or Arcnet cable).